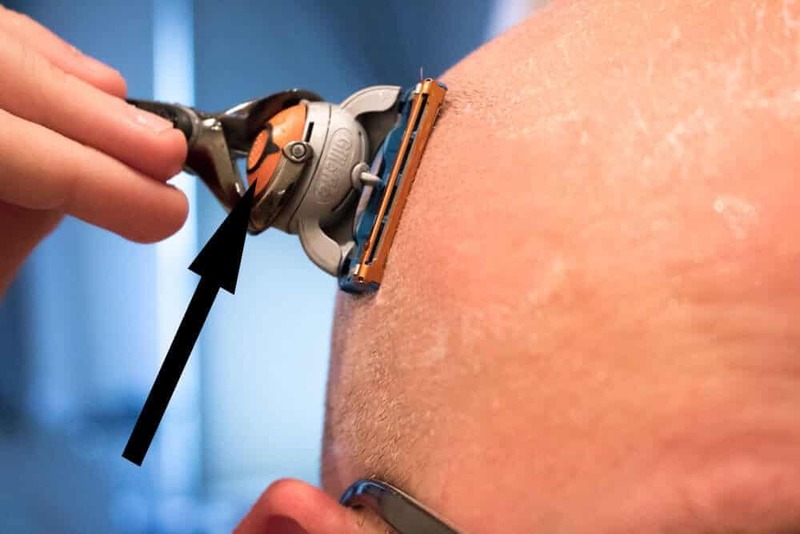 Electric Razor For Bald Heads? Say Whaaat!?! Best Shampoo For Men With Bald Heads? 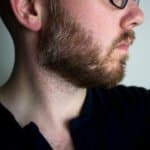 Taking the plunge to shave your head completely bald can be a huge undertaking for some men, it was definitely for me (as I wrote about it here). However, there is this common misnomer out there that one of the benefits of shaving your head completely bald is that you don’t have to worry about doing anything to your head anymore! Sure, you don’t have to plunk down some hard-earned cash on pomade, clays, waxes, and whatever the cool kids are using these days! Instead, you must adopt an entirely different regimen. Sorry to be the bearer of bad news – but as one bald guy to another, it would be a huge disservice if I didn’t share some of the secrets the I have learned along the way during my follicle-free journey. 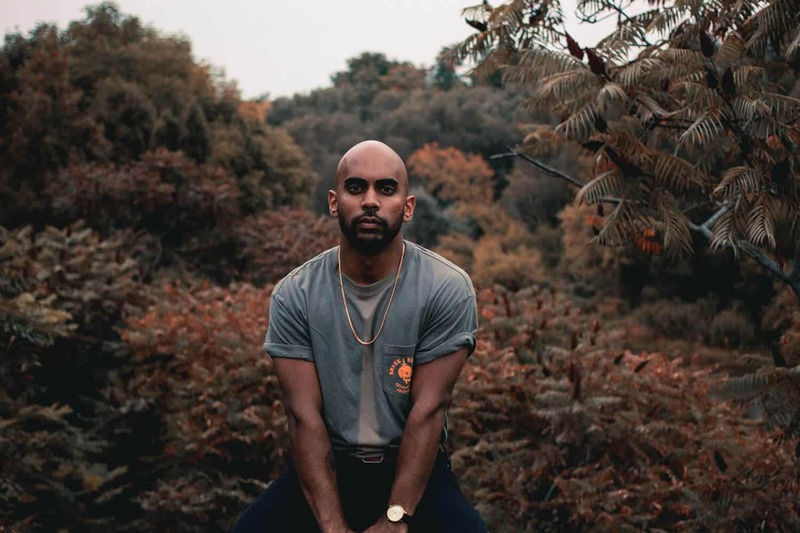 When it comes to going completely bald, one thing that so many men often forget, is that they no longer have the protection their hair provided from the violent UVA/UVB rays of the sun. Sure, you can wear a baseball cap or a hat with a 360-degree brim, but on the occasions where caps just can’t work (summer wedding anyone?! ), you need to lather on some sunscreen. Given that your head will have virtually zero protection from the sun, it’s important that you lather on some sunscreen that offers SPF 50 protection (guaranteed to block 98% of UVB rays – source). Any SPF protection greater than 50 may receive diminishing effects. I went to the skincare store that is right around the corner from me to pick up some grooming products and was told about this sunscreen, Supergoop, from the friendly staff there. At first I was a bit hesitant given the price tag ($20 bucks) for a 2.4oz package, but gave it a shot. While this sunscreen is designed for your face as it offers a much thinner consistency than what you would pick up at your local grocery store, I was blown away by the results. As a bald man, this is NOW my go to stuff. Not only does it go on incredibly easily, but it also isn’t pasty like some organic or earth friendly sunscreens nor is it oily like others. So, if you haven’t shaved your head in a couple of days, you don’t have to worry about this sunscreen getting caught up in your 1mm long hair follicles. Oh, and did I say that it doesn’t leave your head shiny or matte afterwards? Seriously, it’s like you aren’t wearing any sunscreen at all (but still of course getting all the appropriate UVA/UVB protection). Before you ask – no I am not being paid by Supergoop to plug their product. I seriously love this stuff and use it daily! 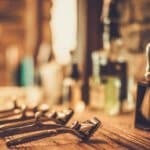 Now a quick search on Google or Amazon will give you a ton of results of systems out there that have been designed for men who shave their head regularly. 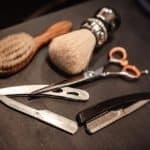 They offer incredibly easy guidance – especially for men who are shaving their head for the very first time. And if this is your case – it might make shaving your head easier. Of course, you may also want to check out this epic guide on how to shave your head and avoid a bloodbath. As I have been shaving my head now for several years and tried several shave systems on the market, still my trusty razor is the Gillette Fusion ProGlide. Sure, there are probably some men out there that just cringed based on this recommendation. Now, I know there are WAY cheaper razors out there whether it’s a cartridge razor (i.e. Harry’s, Dollar Shave Club, etc.) or of course a safety razor (where razor blades just cost pennies on the dollar). Seriously, if you go to any drug store across the nation, you are sure to find it being stocked (although likely behind the counter…and still under lock in key). This mechanism in the razor head (seen above) is the crème de la crème for bald head shaving. Seriously, it’s the absolute best razor to shave your head bald on a daily basis. Well the neck of this razor conforms to the contours of your skull. This ensure that the razor head never lifts off the surface and gets a super close shave. 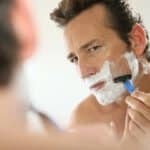 But not only are the results on point, there is very little chance (virtually zero) of you cutting your skin while shaving – even if you have used the same razor head repeatedly. So, if you want shave comfort, close results, and a razor you can pick up at the store only 10 minutes away, go with this razor the next time you shave your head. Balding clippers are the best alternative to razors in getting a super close shave. So, you might be wondering, how close do they REALLY get? That’s the claim by Wahl with their Professional 5-Star Balding Clipper. 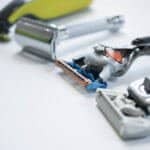 In fact, when you check out some of the men that have used these clippers, you can hardly tell with the naked eye between a day-old razor shave and hair cut via a balding clipper. But beyond the closeness that balding clippers can attain, they are also built for your head. This means that they are incredibly comfortable when compared to other shave systems (standard hair clippers, body groomers, etc.). So, if you are afraid of nicks, red marks, or anything, it becomes a non-issue when using balding clippers. If you want to save some time with maintaining a bald head, consider these. 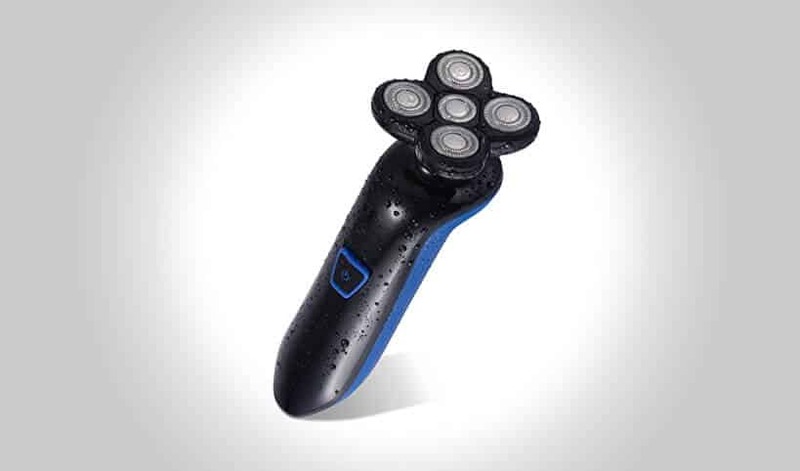 While we were raving about balding clippers immediately above, we would be doing a disservice to you if we didn’t at least talk about electric razors for bald men. Typically constructed out of four rotary style heads (as opposed to foil), this razor system will be a bit more efficient than balding clippers. But what you gain in efficiency you may lose in comfort. If you are like most men who have thick or coarse hair on parts of their head that isn’t completely bald or thinning, then you will want to skip out on an electric razor designed for your head. The reason being is that when it comes to rotary style electric razors, they cut in a weed whacker like manner. And if you have coarse or thick hair and cut it down to the surface of your skin, it may cause razor bumps or general discomfort long after you shave. But if you are feeling adventurous and have thin hair, then an electric razor may be worth a consideration. I’ll be a little oversharing here for a minute. When I was a kid and had thicker hair, I had dandruff, and bad. In fact, I remember my mom giving me all sorts of different shampoos to try out in order to get rid of dandruff. Think of shaving as a deep exfoliation process. When you exfoliate (or in this case shave), you are essentially scraping away dead skin cells making way for new ones. When shaving daily, you are putting quite a bit of stress on to your skin. It’s important to remember that your skin is a living organ. Therefore, what will often happen for a lot of men is that the surface of their head will begin to dry out and cause some mild flaking (what appears as dandruff). First, you should apply an aftershave balm (no not an aftershave lotion or aftershave splash) immediately after you are done shaving. Balms contain moisturizers that will help out your skins natural moisture barrier and mitigate any flaking from occurring. 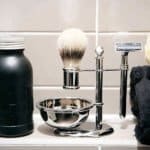 It’s critical that you don’t use an aftershave splash or lotion as they will often contain alcohol – which not only sting or tingle once they are applied, but will further dry out your skin ultimately compacting the dry flaking skin problem. Secondly, you should use a moisturizer for your skin as well. While you should be doing this already to your face (if not be sure to check out our recommendations here) as they can melt years from your age, you can simply apply some of this to the top of your head to ensure effective results. 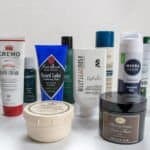 Pro Tip: If you are looking to save a few pennies on your monthly grooming bill, we go over a few moisturizers that also contain SPF protection. This will allow you to knock out two birds with one stone. Ok, now you are probably scratching your head, and I wouldn’t blame you. I was in the same boat as you when I first came across this notion – why do I need to use shampoo if I don’t have any hair?! Bar soaps and body washes that aren’t relying on natural or organic ingredients often contain harsh surfactants which may lead to dryness and general skin irritability (especially if you have sensitive skin). As you go about your day, although you shaved your head completely bald, you still have the oil ducts (sebaceous glands) that excrete sebum oil constantly. This oil build up, if not wiped away will cause your head to look a bit more shiny while also opening you up to acne forming on your head. So if you want your head to look perfect, go with a quarter-sized amount of some great natural shampoo or simply use a naturally derived soap for best results. Sure, you could just not wash your head for several days and let the sebum oil build up – but that’s just not exactly the most sanitary way to achieve the effect. If you want to harness your inner Michael Jordan and give your dome a nice shiny look to it, then you will want to get in the habit of applying either a product specifically designed for such a scenario like the HeadBlade HeadLube for a Glossy Finish, or resort to some DIY solutions. 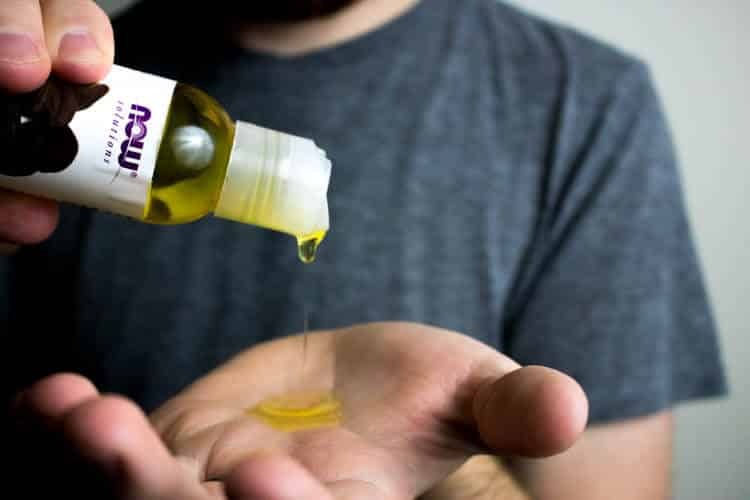 If you are looking to save a few bucks, then we would recommend either going with straight-up Jojoba Oil (which is naturally found in a ton of beauty conditioning products like beard oil, shaving cream, shampoos, soaps, deodorants etc.) that will give you a low-gloss finish or something a bit more bolder like baby oil will add more shine. Baby oil (or simply known as mineral oil) will be resistant to water and give you the best results for a shiny head. We would recommend that you apply about a dime sized amount to the palm of your hand and then rub thoroughly along your head. 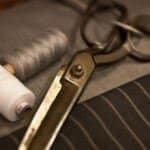 Once finished, you can use a rag or hand towel and simply ‘buff it down’ if you are looking for a slightly more restrained shine. One who love a shiny bald head (see above) and those who don’t. Personally, I fall into to a more matte-finish kind of a guy (and I think most other men tend to go this way as well). So, what’s the secret to a perfectly matte head? The right kind of moisturizer. 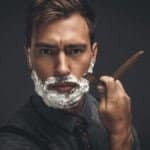 While I full-heartily recommend in investing in an aftershave balm for post-shave comfort, unfortunately most balms rely on oils and other natural ingredients to deliver effective results. Secondly, these balms are geared for face use rather than for the top of your head. So, in order to tone down the shine, you will want to go with an oil-free moisturizer post-shave. Oil-free moisturizers (again, designed for men with oily skin complexions on their face), can be easily incorporated to your shave routine. These moisturizers will instantly remove any shine while also delivering adequate moisture to your head so you don’t suffer any dry skin or dandruff. Check out our reviews of the best oil-free moisturizers here. Now if you are looking for a solution that is specifically for men with bald heads, the options are pretty limited. However, one notable product is by HeadDry with their Shine Reducer. While all of the above might be a lot to take in at first, maintaining a shaved head is painless and takes very little time. If there is one thing that you should take away from this article is that moisturizing and adding sun protection into your daily regimen is absolutely paramount. Given the increased exposure to the sun, you don’t want to have any health scares due to sun damage (i.e. melanoma) simply because didn’t want take the 2 extra minutes in the morning to add a light coat of UVA/UVB protection when heading out the door. Remember, the sun doesn’t go away in the winter – apply protection all year round!